NOTE: This is a Guest Post used with permission from Ilene Sims at http://www.essentialsforlifetoday.com. I was raised to have a good work ethic, do all you can without asking, and by all means loving your neighbor as you love yourself. I grew up in a time when many fathers believed it was important to raise strong sons. My brother, Ervin is the oldest and I, the first girl am next to him, then came a bunch (6 more SONS) after me. 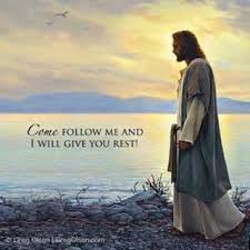 CONTINUE READING: GUEST POST "NEED REST?" Thanks, Bill & Teddy for sharing this inspirational post. Thank you very much for sharing this post in the community. I'm sure it will help a lot of people when they read it. Very encouraging and inspirational.